What do you get when you bring together the self-proclaimed ‘bad feminist’ and ‘factual feminist’? Two intellectual heavyweights, from two very different ends of the spectrum, igniting conversation about one very severe topic. This is not a feat, this is a sobering response to the differences within a social movement. Whilst feminism has made enormous strides towards the equality and empowerment of women, like any revolution, it is going through a rite of passage wherein strands of “feminism” and their identifiers are diverging more than they are converging. This is 42 brings together a meeting of the minds between the ‘Bad Feminist’ Roxane Gay (professor, cultural critic, author/novelist, blogger) and the controversial ‘Factual Feminist’ Christina Hoff Sommers (professor, philosopher, author, vlogger) as they navigate the trials and tribulations of 21st century feminism in #Feminist, coming to Sydney in March 2019. 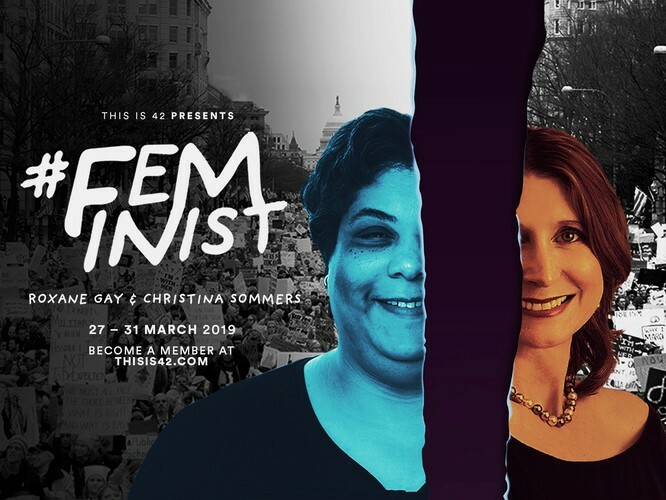 Together, Gay and Sommers will discuss intersectionality, gender roles and the division of domestic labour, the gender pay gap, violence against women, #MeToo, feminist representation in media and popular culture, political correctness.